It’s been just over a month since the flood and we’ve made huge steps towards re-opening the galleries. The objects rescued from the flooded store are now dry and re-boxed, ready to be moved to our temporary store where they will be further assessed for damage and re-labelled with their unique accession numbers where necessary. Fortunately thanks to the quick thinking of staff and volunteers the collection has escaped relatively unscathed. 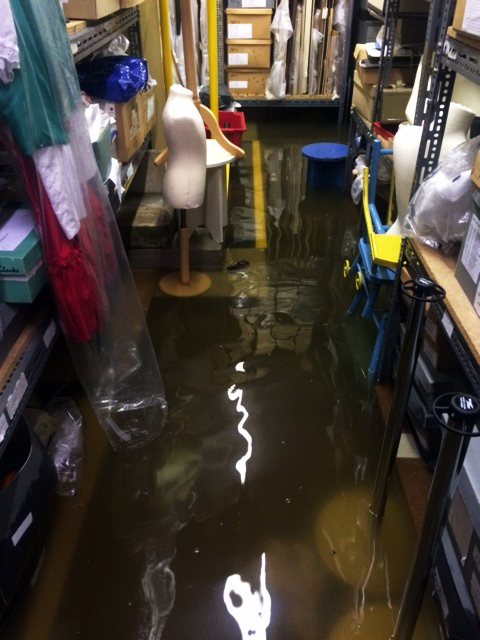 The flood in the store at it’s worst Friday morning before the Fire Brigade came. The photo shows the pervasive power of water, it gets into everything. For the last few weeks we’ve been very grateful for the help of new volunteers of all ages who have come in to help for an hour or so with some very unglamorous jobs! The sessions have been incredibly successful and we hope to run similar sessions in the future when the need arises (hopefully in less panicked circumstances!). Unfortunately the parquet flooring in our foyer and temporary exhibition space has been badly damaged and needs replacing along with the flooring in the galleries. As soon as this work is complete we hope to reopen the galleries – current estimates place this milestone towards the middle of September. 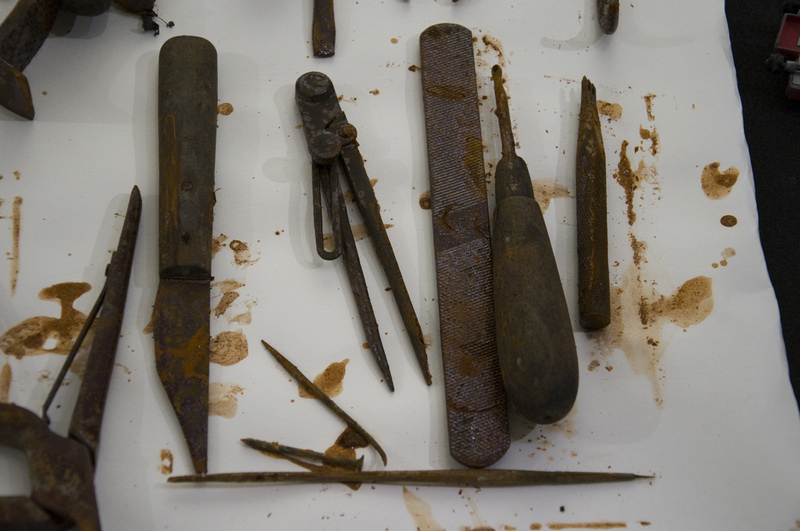 Water damaged tools drying on blotting paper, waiting to be cleaned and repackaged. We want to extend a huge thank you to the volunteers and our colleagues from other museums for their invaluable help over the last 4 weeks. Our shop is currently open for sales and to allow visitors to pop in, see our ‘Flood Board’ and see where we are with our work. You can also keep up to date with our progress on Facebook and Twitter. We hope you see you all very soon! Previous PostFlood RecoveryNext PostBack on our feet and looking for volunteers!